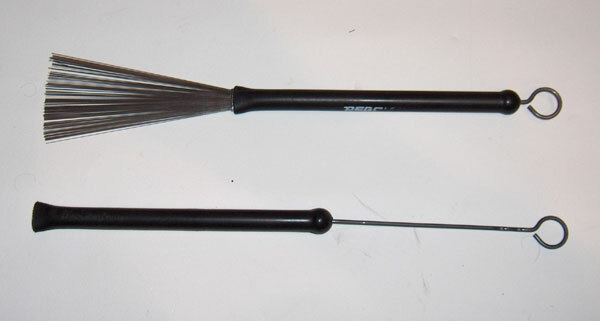 Appeared in the 1920 with the play in cabaret, the brushes ("jazz brushes" or "drum brushes"), less loud than sticks are now with steel strands ("wire" or "bristles") retractable ("telescopic") in a handle made of rubber or plastic and an aluminum sheath (first with a simple wood handle). You can find them also recently with nylons strands, stronger but less sounding and brushes with wood strands ("rods", which you can not use for sweeping). 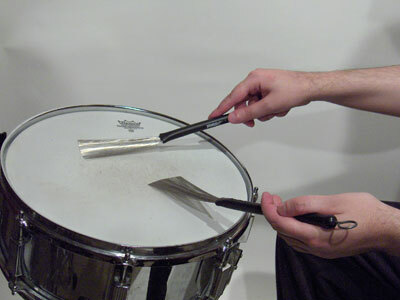 The interest of the brushes is especially the specific use of sweep on the skin (or "drum head"), thanks to its "grain" (with "sprayed coating", all plastic skin did not have it). 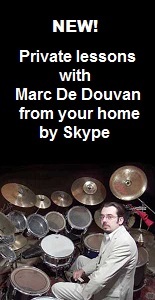 Free lesson on how to play drum brushes with interactive animated drawings (click here).